Date palm is one of the most cultivated palm trees in the world and also one of the oldest domesticated fruit trees (since about 8000 years). Originating in the Euphrates basin, it spread westward across North Africa and eastward to India. Date palm is one of the few plants that can survive in the inhospitable desert climate (very hot during daytime, cold at night). Its fruit was an important source of concentrated energy for nomads: 1 kilo of dried dates providing around 3000 calories. Even today, in North Africa and the Near and Middle East, dates continue to play an important role. Nearly 90% of the production is consumed locally. In addition to the fruit, many other products are obtained from the date palm including wood, fibre, a coffee substitute (with roasted and ground kernels) and even alcohol (with the sap). 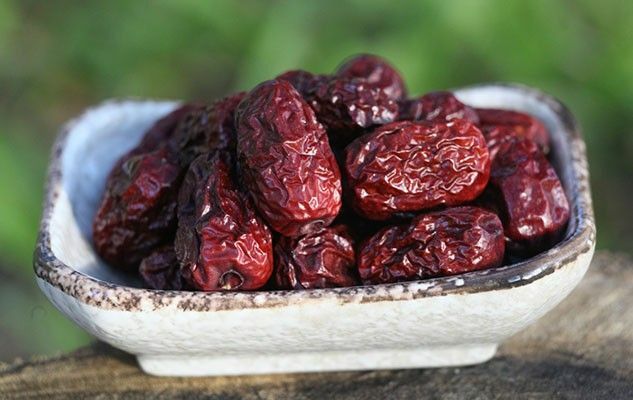 Fresh as well as dried dates are a good source of dietary fibre, especially the insoluble type, and they contain a high concentration of antioxidants. Rich in carbohydrates, these are the perfect fruits for any intense and long term sports activities.